Ambition Co., Ltd. has released the official website for their forthcoming mobile puzzle RPG, �gBungo Stray Dogs: Tales of the Lost�h, and announced the start of its pre-registration campaign for the game. 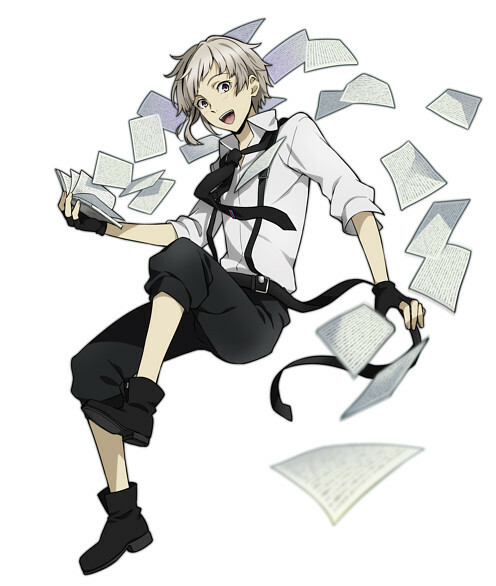 Ability Fling Puzzle Game �gBungo Stray Dogs: Tales of the Lost�h – Official Website & Pre Registrations Now Open! �gBungo Stray Dogs: Tales of the Lost�h, the first ever mobile game based on the hit anime series �gBungo Stray Dogs�h, has now opened its official website and started accepting pre-registrations for the game. The pre-registration campaign features a number of milestones based on the total number of players registered, with prizes such as an exclusive SR Nakajima Atsushi character with original Japanese voice acting, as well as tickets for free use of the Scout system, from which players can obtain many other popular characters from the series. For more information, check out the official website below.